Yaqona led his team at the 2013 and 2014 tournament where they missed out on the top spot to qualify to the next stage. He said his side is expecting more physicality in this tournament and when asked what to expect of their first challengers Veitongo FC, Yaqona was only too familiar about how they will play. “Historically Tongan teams have been very fit and very, very physical. At its last tournament in 2014, Tupapa Maraerenga FC won against Tonga’s Lotoha’apai United 3 goals to nil. After missing out in 2014 Tupapa Maraerenga FC will be chasing a berth in the 2016 OFC Champions League. Hungry and eager to finally make that next step at regional level, Yaqona has assembled a side brimming with experience. Captain Mii Joseph leads the team that includes a number of players who helped the Cook Islands into the history books at the 2018 FIFA World Cup Russia™ – Stage 1 in Tonga, with Paavo Mustonen, Campbell Best and Grover Harmon leading that line-up. 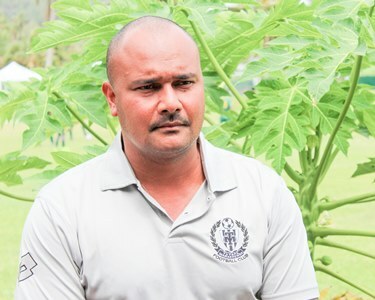 Adding something different to the established club side will be their national team colleague Harlem Simiona who burst onto the scene in Tonga and impressed with his vision and technique. The team will face Veitongo FC tomorrow evening at 5:00PM at the CIFA Complex in Matavera. “I’d like to say to the island we are not just representing the village of Tupapa, we are out there representing the whole of the Cook Islands so I hope everyone will be here at the field supporting us,” Yaqona closed.